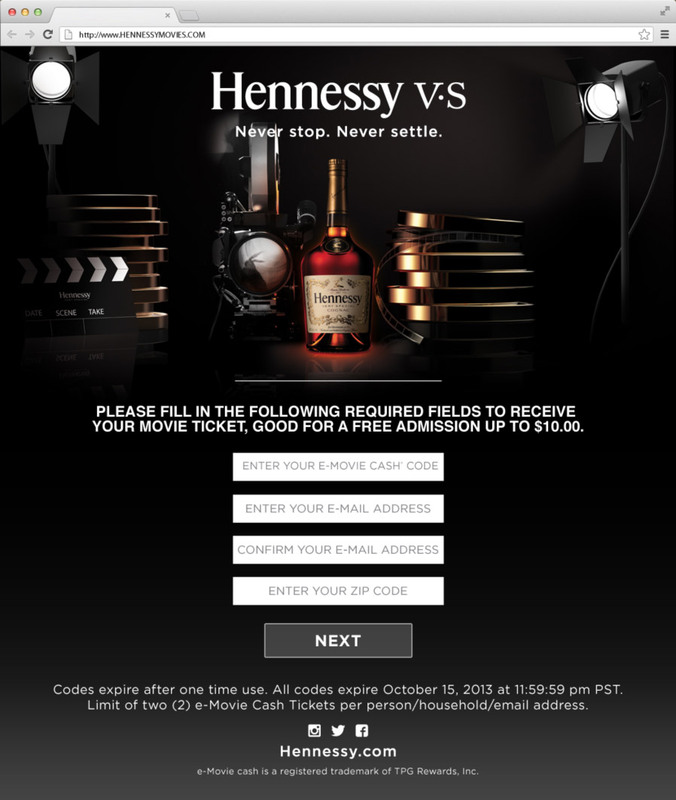 During the hottest movie-going season, we rewarded Hennessy consumers with a Mobile Movie Cash (m-Movie Cash) ticket for every 2 qualifying purchases made during the summer. 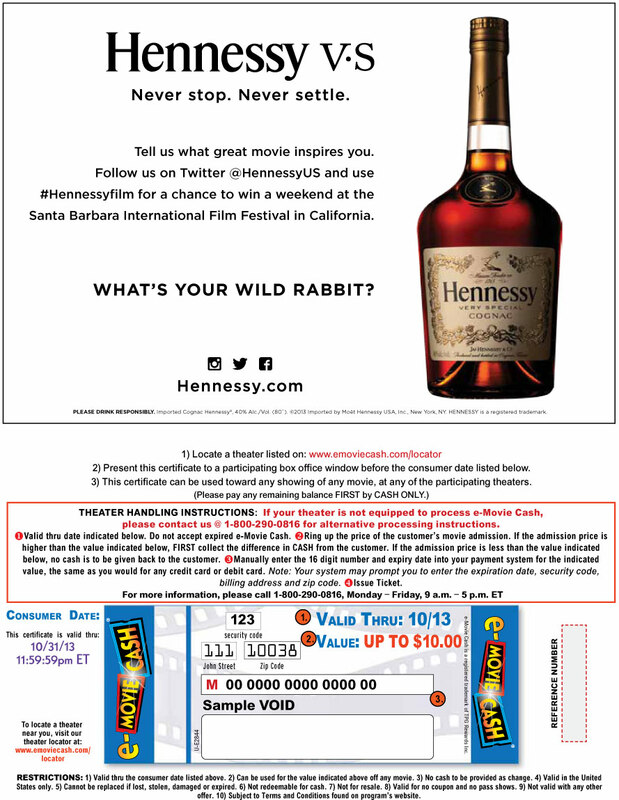 Consumers entered codes on the promotion website and immediately received their m-Movie Cash reward for a FREE movie admission (up to $10.00). No need to print the reward; consumers could present the mobile ticket on their phone at any participating box office nationwide!